235 published items with the word (s) or phrase Central Saint Martins in News, Trends, Videos, Photo galleries, Agenda and sorted by "date descending". The Californian jeans brand owned by the Fast Retailing group has teamed up with emerging Japanese designer Kozaburo Akasaka for its latest women’s jeans collaboration. It’s always been about the next generation in London, never more so than this season, which opened with a brilliant graduate show from BA students at the University of Westminster. The women’s ready-to-wear label, showing on Saturday in London, has overhauled its business model, which now features only one collection per season, and is strengthening its links with retailers. As brand marketing goes, a big exhibition at one of the world’s leading cultural institutions is as good as it gets and the Dior label gets a major boost this spring as the V&A stages its Dior Designer of Dreams show. ...Kollektionen seiner Karriere stammen. Sein Label gründete Ostertag 2006 nach seinem Studium am renommierten Londoner Central St. Martins College. ...Chennai-based designer Kaushik Velendra showed his debut collection at London Fashion Week as part of the Central Saint Martins MA collection showcase. 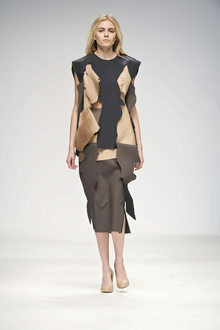 ...award included Bo Xu, from the London College of Fashion, Erica Bergamaschi from Polimoda, Paolina Russo from Central Saint Martins and Guusje de Bruin from Artez. 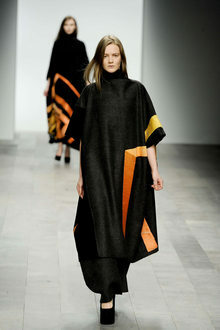 Moscow Fashion Week: Russian fashion that comes a long way from Matryoshka and Anna Karenina! The jewelry student from the Central Saint Martins school in London challenged by the Chaumet house.